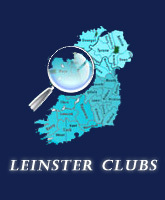 Clubs who wish to host Boys Blitz events should email the Leinster Junior Boys Committee (leinsterboyscommittee@gmail.com) and copy the LHA Youth Administrator (youthadmin@leinsterhockey.ie) with the details to include Age/Skill Group, Date and Co-ordinator. 1st & 2nd Class. Clubs with smaller numbers may choose to offer a mixed format ie., boys and girls.